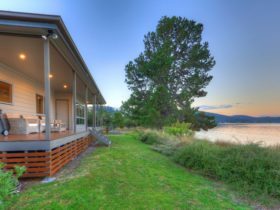 Enjoy this totally exclusive hideaway, set on a private gated peninsula with 200 acres of wilderness, wildlife and water to explore. 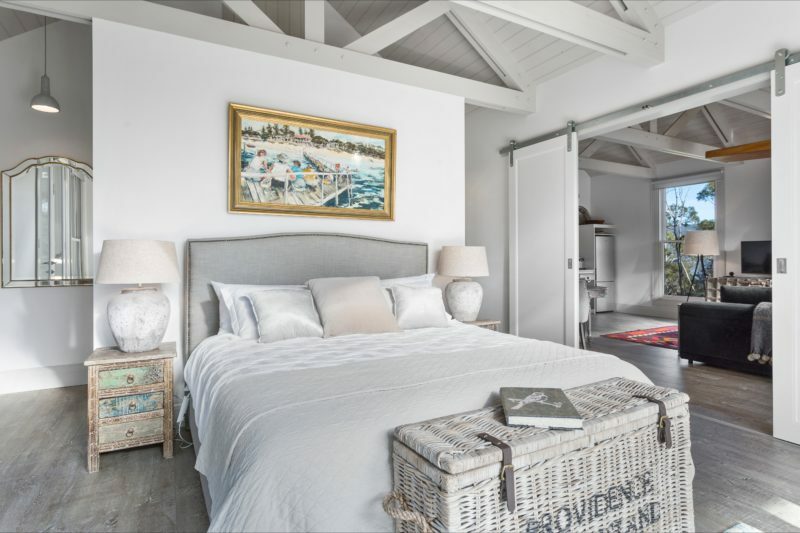 Choose from two stunning accommodation options: The elegant and luxurious Cape House and the exquisite Boat House just for two, each with absolute privacy and sublime luxury. Cape House offers a beautiful mix of worlds. This stunningly renovated turn of the century farmhouse is situated to take full advantage of expansive water views from every aspect. 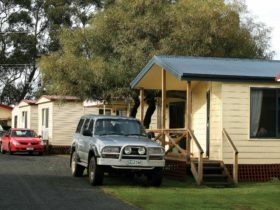 Cape House can accommodate up to six adults, with three luxurious bedrooms, two brand new bathrooms and tasteful, contemporary decor, DVD player, large LCD screen television, iPod/CD player. 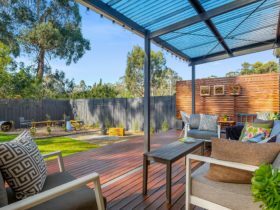 Huge living areas provide the perfect spot for entertaining, with an expansive timber deck, complete with heated outdoor hot tub and panoramic views! 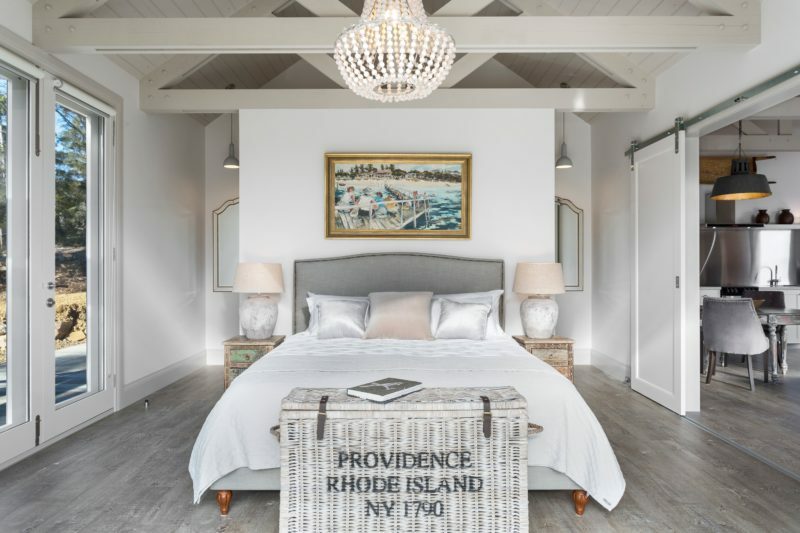 The gorgeous new Boat House provides an indulgent romantic getaway just for two, featuring king size bedroom, decadent bathroom and contemporary lounge and dining area with stunning water views. 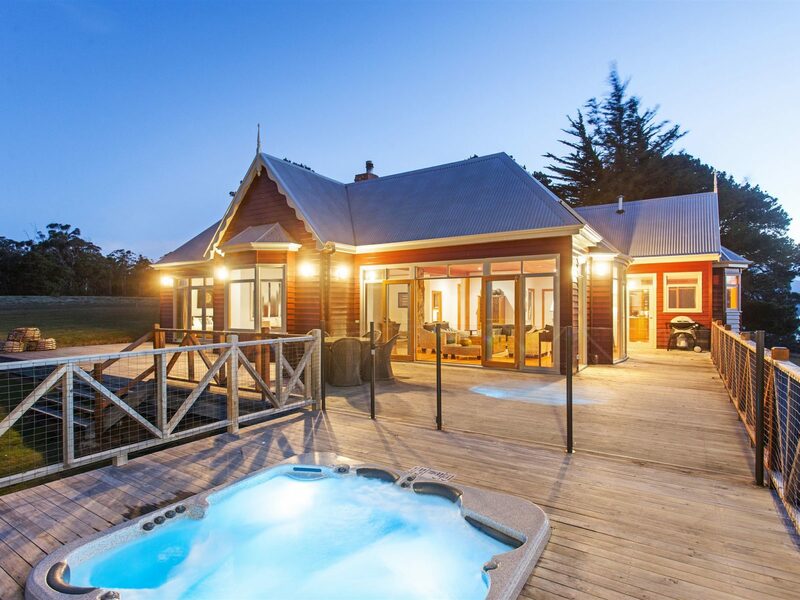 This is an accommodation experience to be savoured – take in the breathtaking views from the expansive private deck complete with hot tub for two! 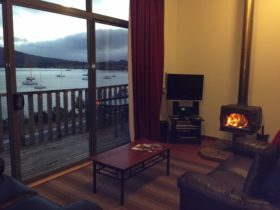 Self cater with a fully equipped modern kitchen or relax by your cosy wood fire. Each accommodation features king size beds in all bedrooms,luxurious bathrooms, huge lounge and dining area and contemporary decor with stunning views and your own private hot tub with magical vistas. 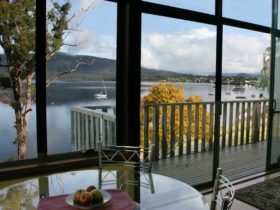 Take in the breathtaking water views from your expansive timber deck as you enjoy handpicked Tasmanian wines. 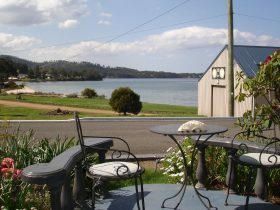 Self-cater in the fully-equipped modern kitchen enjoying Tasmanian land and sea fare.